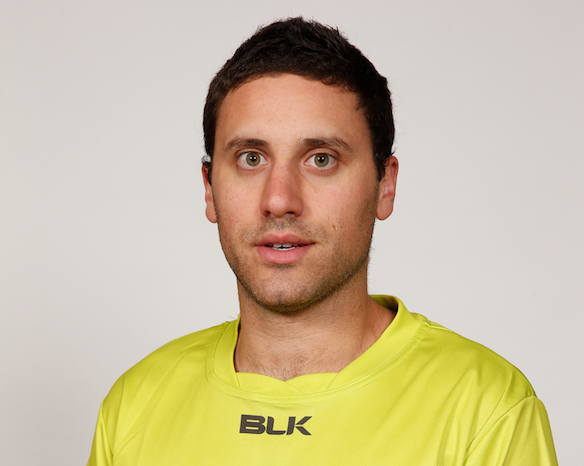 On Saturday afternoon in Round 4, field umpire Rob O’Gorman notched up his 50th AFL match at Manuka Oval in Canberra. 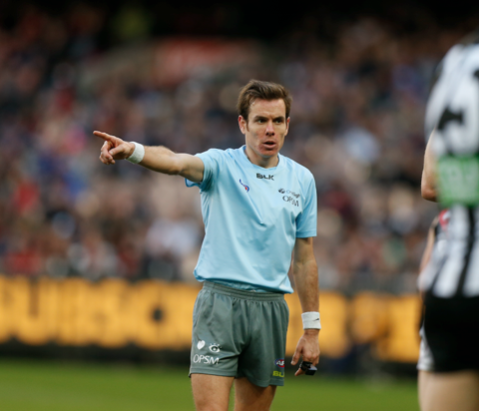 Rob’s first official match was in Round 7 in 2014 between Hawthorn and St Kilda at the MCG. Rob says one of his best attributes is to remain composed and get the job done with minimal fanfare. This was evident in his opening match when a 145 point drubbing in wet conditions faced the first gamer. All sorts of records were broken that day. – Record margin between the two sides. Rob’s biggest influence on his umpiring career has been umpire development manager Neville Nash. “Neville was the first person I met when I started umpiring and he provided great advice and support at every stage.” That advice and support has certainly proven to be a success. 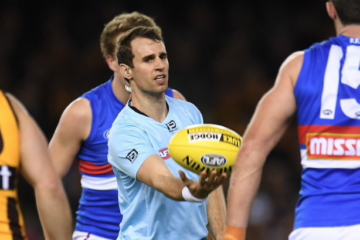 In 2016 Rob was appointed to the ANZAC day clash between Essendon and Collingwood in front of 85,000. This is a career highlight amongst the 50 games and one Rob won’t forget in a hurry. Rob enjoys the camaraderie amongst the group and loves working with his teammates to achieve the best result on match day. Congratulations Rob on 50 AFL matches.